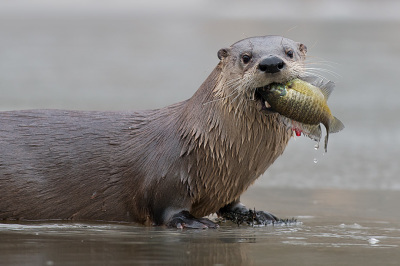 Diet: Otters are omnivores but mainly eat fish. They will also eat crayfish, frogs and even small mammals and birds. 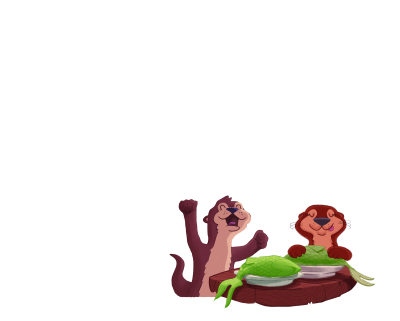 Due to their high metabolism, River Otters eat 15% to 20% of their total body weight each day. Habitat: River Otters are found all across North America from Alaska to the East Coast. They prefer to live in rivers but are also found in lakes and ponds. Otters are more likely to be found in colder areas with cool, clean water. Fun Fact: Otters catch prey while swimming with their teeth and usually only use their claws while eating on land. Where to see otters on the Dan River: Otters are most often seen at night or early in the morning and late in the evening. Look closely and you may see one swimming late in the evening while walking on the Riverwalk trail. 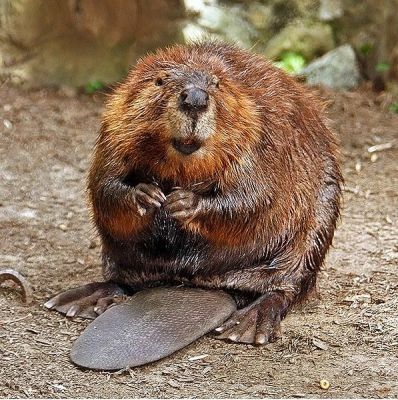 Size: Beavers can grow up to 48 inches long and weigh up to 60 pounds. Diet: Beavers are herbivores and primarily feed on tree bark. They will also eat the roots and buds of plants. 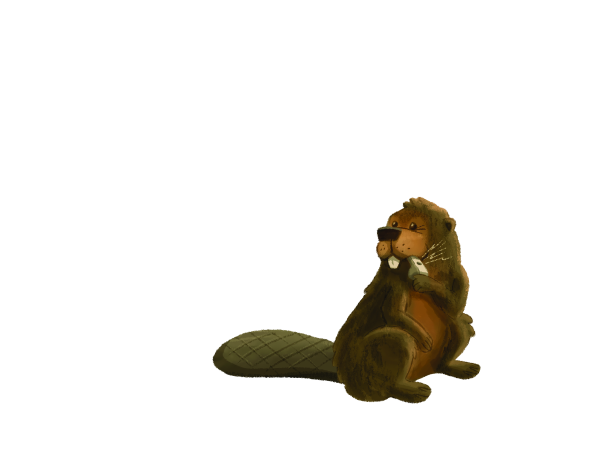 Habitat: North American Beavers are found in the northern tier of the United States and Canada. Beavers live near rivers, streams, ponds, small lakes, and marshes. They build lodges of sticks and mud on islands, on pond banks, or on lake shores. Beaver dams are domed-shaped and can be up to ten feet tall. Fun Fact: Beavers can remain underwater for 15 minutes without surfacing, and have a set of transparent eyelids that function much like goggles. Their fur is naturally oily and waterproof allowing them to swim in frigid waters. 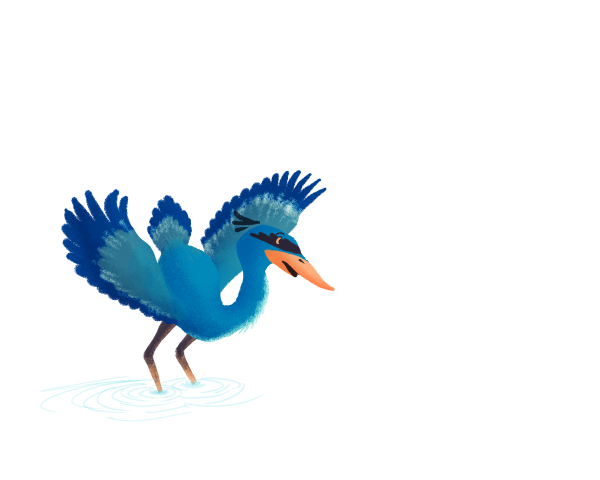 or swimming with their flat tails on top of the water. Size: River Cooters can grow up to 12 inches in length and weigh up to eight pounds making them one of the larger freshwater turtles. and tadpoles when they are young. 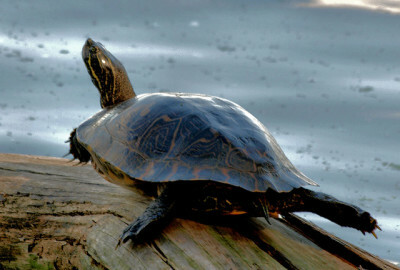 Habitat: The River Cooter lives in the Central and Eastern United States. They are most often found in medium to large sized rivers with clean water. 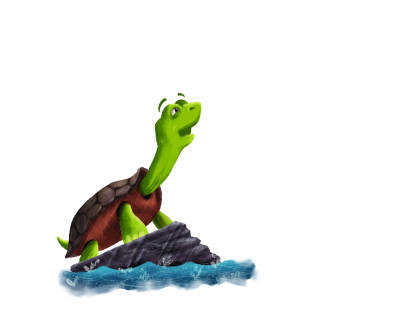 Fun Fact: The River Cooter spends most of the winter deep in the mud hibernating and will often be seen basking in the sun in the summer time. Where to see river cooters on the Dan River: These turtles will be seen often in the summer time basking the warm sun on rocks, logs and on the bank. They can also be seen swimming near the top of the water. 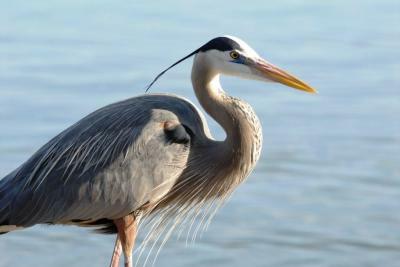 Size: Great Blue Herons are among the largest birds you will see in the Dan River. They have an impressive wingspan of up to six and a half feet! including; fish, frogs, other birds, mice, and even insects. Fun Fact: Despite their impressive size, Great Blue Herons weigh only five to six pounds thanks in part to their hollow bones—a feature all birds share. Where to see Great Blue Herons on the Dan River: Herons are ambush predators and will often be seen sneaking up on prey in shallow parts of the Dan River. Look out for their very long necks and bluish grey feathers.